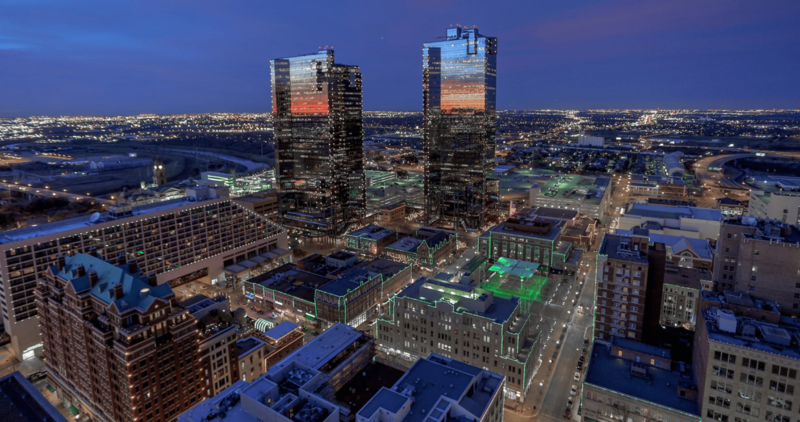 THE BEST TOWN HOME IN DOWNTOWN FORT WORTH! 600 Skyline Bluff Drive is one of the largest in the neighborhood. Just a short hop to Sundance Square and you are in the middle of the urban action! This 3,000sf townhome has been remodeled and is upgraded like no townhome in the area. Upgrades include new Lennox HVAC system upstairs, new wood flooring, new cabinets in master bedroom, master bathroom, office bathroom, laundry area, new toilets and fixtures, new lighting and ceiling fans, new counter tops and sinks, new tile, new paint, custom plantation shutters, frameless shower enclosures, custom steel railings, new door hardware, custom trimout in closets, LED lighting and newer decking. Over $115,000 in upgrades!